Asthma is a chronic disease of the lungs. It affects about 26 million Americans. The disease causes inflammation and narrowing of the bronchial tubes. Symptoms include wheezing, cough, shortness of breath and chest tightness. 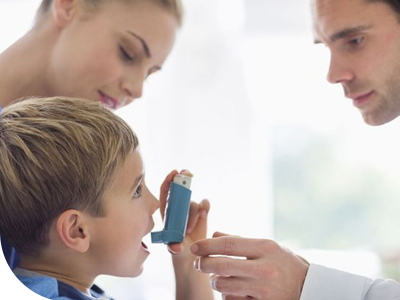 Asthma is among the most common chronic childhood illnesses. It can be deadly if you don’t know you have it, or if you don’t treat it. There are two kinds of asthma. Allergic asthma is caused by exposure to an allergen such as pet dander. Non-allergic asthma is caused by triggers such as exercise, illness, stress, or irritants. Studies show that people with asthma who see a specialist, such as an allergist, can reduce their symptoms. They also visit emergency rooms and doctors’ offices less. They miss fewer days from work or school. Their health care costs are less. Knowing what triggers your asthma and how to prevent an attack is the key to symptom control. Prevention also includes having access to medical care. Getting appropriate treatment to decrease the chronic inflammation in your lungs is vital. Proper treatment is also vital to improve or maintain your lung function.